Even with some turbulence in the Amigaworld. There is also the human side of it. Trevor is both a investor and a passionated Amiga user. His blog says all that about him. He is a collector of Amigans and at the same time passionated about moving the Amiga vision and dreams forward with A-EON. What a great person he really is and he is a perfect example of how Amiga users are today. Most of Amigans are collectors, promotors, visionaries and community related people and this is something Trevor understands. Trevors Amiga collection at home in New Zealand is massive! And his passion for Amiga, have made it possible for AmigaOne X1000 to be released. Now he is progressing with next generation Amiga, which he explains in this interview with Trevor Dickinson by The Guru Meditation team! The team interviewed Trevor Dickinson at Vintage Computer Festival Southeast 2017 in the United States of America. 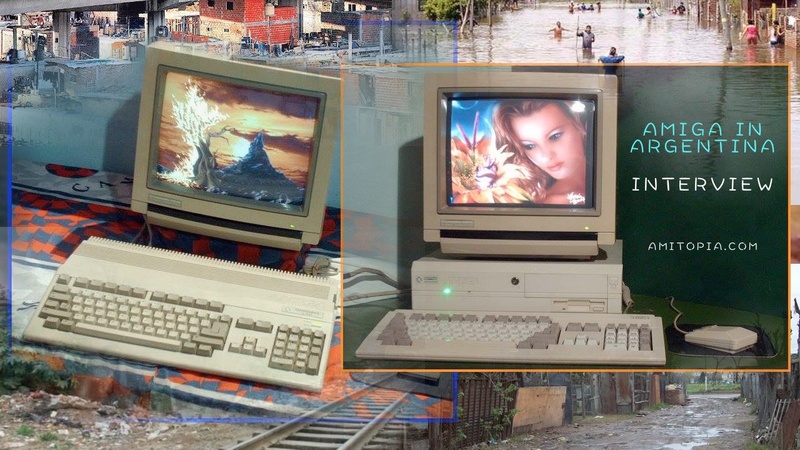 Here he gives overview and interesting informastion about the next-gen Amigas made by A-EON. A1222 Tabor is a new and much cheaper Amiga motherboard from A-EON. They aim at the release of it at AmiWest this year. I hope to actually get one and you will have a glimpse of it in the interview where Linux is demonstrated on it. A.L.I.C.E is one of the products that is very unique in that it is a laptop that offers full AmigaOS enviroment and Linux apps support. AmigaOS 4.x and MorphOS is PowerPC based for now. However AmigaOS 4.x can run on WinUAE with PowerPC support and because of that can run on Windows. There is talks about ARM support for MorphOS, but when this will happen is unclear. AROS runs on many different CPU architectures as x86, PowerPC and ARM. There is even a Android version of it. AROS is open source. Runs many of the newer AmigaOS 4.x and MorphOS created programs. There are several versions of AROS but they are all free. MorphOS is the cheapest commercially AmigaOS compatible operating system. However, it requires you to get hold on a cheap PowerPC Mac that it supports or some of the PowerPC dedicated hardware that it supports. AmigaOS 4.x is for now the most expensive commercially AmigaOS compatible operating system. It runs mainly on its own PowerPC made hardware from A-EON but also Acube PowerPC machines and Pegasos II motherboards supports AmigaOS 4.x. However, when A1222 Tabor will be out. Then this operating system will see a boost in user base usage for sure. Thanks to The Guru Meditation for this fantastic interview and production. The quality that they make is remarkable. Fantastic passionated people and Amitopia sends lots of kudos for a fantastic production as always!